How to Grow a Beard – You Ultimate Guide for Growing a Beard That’s in Style and Looks Great! We live in a time when beards are increasingly popular. Your beard is an extension of your personal style, and it compliments your attitude, charisma, and outlook on life. This is why so many men, perhaps you included, take great care in how they grow a beard. Do you take great care in your beards appearance and pay attention to modern beard styles? 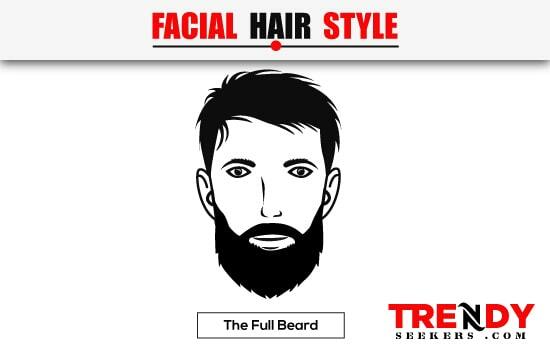 If so, it’s likely that you take into consideration all your favorite beard styles and then customize your favorite one to suit your specific face shape, hair-growth, and lifestyle. Great beards don’t happen by accident, and if you’re looking into how to grow a beard, this is the ultimate beard guide for you. Whether you’re growing a beard for the first time or a seasoned groomer, you’ll find something valuable in this beard guide to maximize your look. How a man keeps his beard says a lot about him. Some guys like to sport a highly detailed beard that’s faded and lined-up with laser-like precision; others would rather just ‘let-er-rip’ opting for a full-blown scraggly beard that just flows with the wind and does what it wants. Most people fall somewhere between these two extremes. So, if you’re looking for the ultimate guide to today’s most popular beard styles, you’re in the right place. Remember, there is no best way to grow a beard. It’s all about how you wear it. For those of you who are asking, ‘why can’t I grow a beard’ we’ve got your back, too. Check out the beard growth products section to get a leg up on your follically challenged situation. This will answer how to get a thicker beard. There are several beard styles that somehow continually make it to the top of the ‘most popular’ list. If these were to be discounted, the beard shapes that would make it to the top of the list would be a bit more adventurous. However, there is a reason these evergreen beard styles continue to make the cut. For most guys, these beards are chosen because they are easier to maintain than other styles, more acceptable to a business lifestyle, and fit into the general cultural landscape. In most cases, it’s wise to cater to both the evergreen populist, as well as the more adventurous. 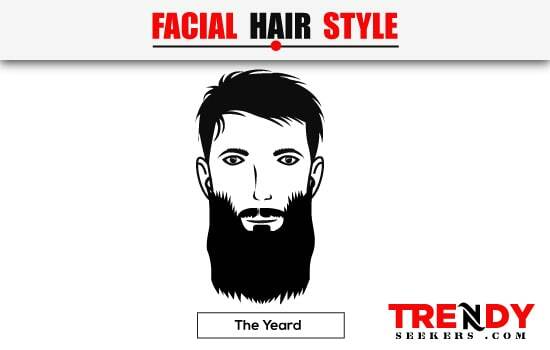 So in the spirit of giving you the whole picture, we will begin with the most popular beard styles and then cover the more trendy styles later in the guide. Without further ado, here are the top 3 most popular beard styles*. *For care tips, growth strategy, and maintenance guidelines, please reference the appropriate section below for each beard style. Most men sport this at one stage of their bearded journey or another. It’s pretty basic, but it sends the message that you mean business, you’re able to take on what life has to offer, you’re confident, and a bit rogue. It’s super easy to grow and maintain if you are able to grow a full face of hair. If you want to make a great impression at the office (if your office culture permits of course) then this could be a great way to exude that extra bit of confidence over your follically challenged colleagues. The goatee is a staple in the beard growing space. With so many optional variations in this style, it suits the needs of so many face shapes, lifestyle conditions, and business needs. Even those who have a tougher time growing facial hair can often tease out a modified goatee with a little effort and care. Don’t let the popularity of this style detract you from sporting this timeless classic. It may very well suit your stylistic needs with a little tweak here or there! For many reasons, the 5-o’clock shadow, aka designer stubble, is a favorite beard style for many men. It’s relatively easy to maintain, looks great with nearly any fashion, and creates a certain ‘manly’ appeal. If you love sporting the 5-o’clock shadow, you’re not alone. This is the most popular beard style to date and is all around favorite with most guys. 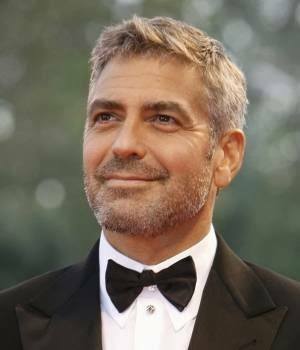 This beard style is named after George Clooney who makes this iconic style stand out for all to see. You’re Go-To Guide For All Beard Trimming Styles. Let’s Get Trimming! Here we are! This is really what you’ve been waiting for right? 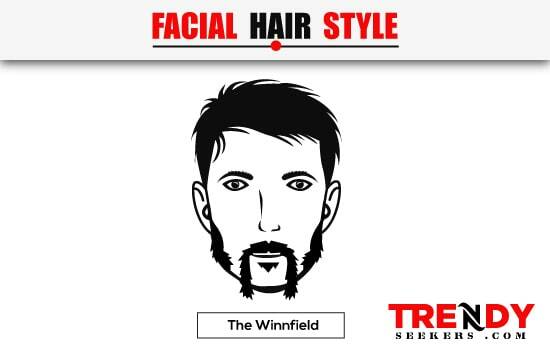 If you’ve been wondering what men’s facial hair styles will work for you, you’re certainly in the right place. 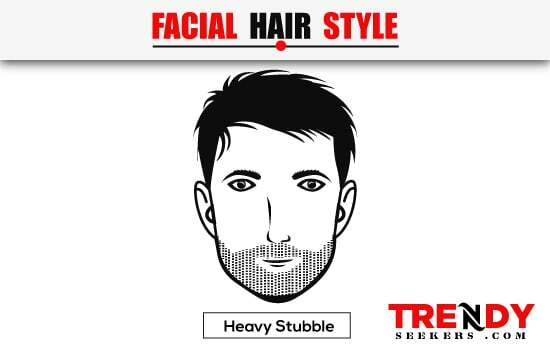 In actuality, there are as many beard styles for men as there are faces. This is because every face is a bit different and each requires a unique approach to make things look great. Even so, the general shape and form can be placed into an overall ‘style’ that is referenced when going for types of beards that work for you. Let’s take a look at the 42 most popular beard styles today. Realistically, sporting a clean shave is less of a style as it is a preference. The great thing about the clean-shaven approach is that it never really goes out of style. If you want to know how to shave a beard, practice the clean shave for a while. One great bonus is that the ladies typically appreciate it because it’s softer and easier to kiss than many other stubble-heavy styles. If you don’t mind people seeing every aspect of your face, this may be the choice for you. A beard can hide details and shape areas that you want to improve on. Sporting a clean shave bears every detail. Pretty much every man wears this at some point. Dwayne ‘The Rock’ Johnson often sports the clean shave. Electric shaver (or manual razor), shaving cream or gel, aftershave balm. An untamed yet maintained stubble. Maintain the look of 24-48 hour beard growth. Shaven below the neckline. This is one of the most popular short beard styles around. If you like the cool and confident look that says ‘I’m a bit of a rebel, but still clean and approachable’ then this could be the look for you. This is another one of those styles that never really go out of style. Most men sport this style at one time or another. 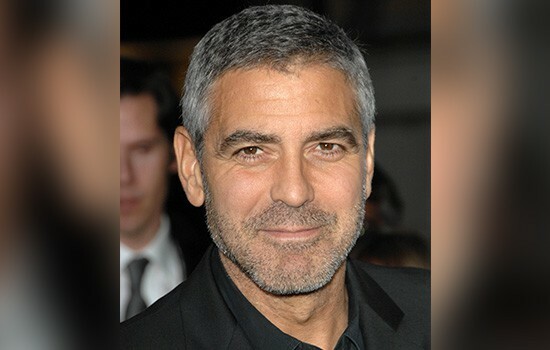 Some notable celebs that love to rock the designer stubble are George Clooney, Jake Gyllenhaal, and David Beckham. Electric shaver (or manual razor), electric trimmer, shaving cream or gel, aftershave balm, beard oil, line shaping tool (optional). This is basically a slightly more edgy version of the 5’ o’clock shadow. It’s a stubble beard that allows you to put a little more skin in the game. Use a trimmer to get the length you like; typically a nice 5-day is a standard. Tidy up the neckline (optional) with a razor or trim without the comb attachment. You can carve your cheek lines if desired as well. If you like the ‘I forgot to shave, but still look like I’ve got it’ kind of approach, this style will suit you well. It’s typically the best look on a round face shape. It’s fairly low maintenance and has good leeway insofar as how often it needs to be groomed. This style looks good with nearly any fashion and can be modified to be very tidy and sharp with the right tools. 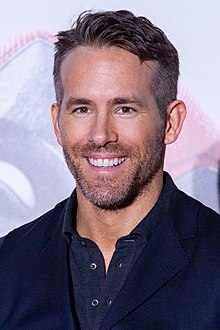 Think Ryan Reynolds on the set of Deadpool 2. It’s a bit edgier than the 5 o’clock shadow and gives a bit more attitude to the face. Another great example is Bradley Cooper’s light stubble. This is the most aggressive of the stubble styles. It gives you the 10-15 day growth look and can be the beginning of a great relationship with your beard. It’s edgy and provocative, and the ladies really seem to love it. Let your beard grow a little longer than you want to keep it. Set your trimmer to the highest setting (typically) and go over the whole face. Keeping the neckline tidy is key with this style as well. Again, you can use a razor or electric shaver for this or just use the trimmer without the guard/comb. If you want to get fancy, you can use a line shaping tool to get a laser-like line-up as well. If you like the ‘I’m not worried about how I look, but still look great’ kind of style, this is right up your alley. It gives you the look of just rolling out of bed, yet still hygienic and well-kept. Hot guys with beards don’t happen by accident, but this one is easy to get up and running. If you want to see this style red-carpet ready, have a look at Chris Hemsworth. He rocks this look like a boss. It’s little wonder they gave him Thor’s hammer. The soul patch is a beard style that goes back to the 50’s and 60’s when beatniks and hippies were all the rave. It represents a certain kind of laid-back attitude toward life. It’s easy to grow and maintain and looks great for nearly all face shapes. If you have a round face, it may give more length to your look. To get a great soul patch going, leave the hair under your lip grow for at least 10 days. Keep the rest of the hair clean shaven. As this area grows to be a bit longer than your length preference, get out the beard comb and beard scissors and prep for a trim. Choose your desired width (not too wide as to span across the whole bottom lip) and angle each side down toward the middle of the chin. It should look like an inverted triangle when complete. If you are one of those carefree, ‘life is good, things are chill, and we can all just get along’ kind of guys, this is a great style for you. It’s easy to maintain and keeps your style interesting. 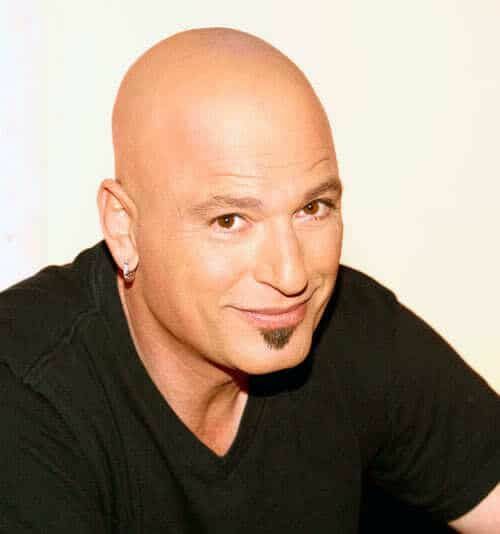 One of the most notable of soul patch sporting celebs is Howie Mandel. He sports a well-kept, longer trim soul patch that sets the bar for the iconic look. Electric shaver (or manual razor), electric trimmer (optional), beard comb, beard scissors, shaving cream or gel, aftershave balm, beard oil (optional). The goat patch takes a soul patch and extends it down to just beneath the chin. It gives the look reminiscent of a goatsbeard, hence its name. It’s a slightly longer trim length than the soul patch and can be allowed to grow as long on the bottom as fits your personal face shape. Growing out the goat patch is pretty straightforward. Let the hair in the area under the lip to just below the chin grow for 10-15 days. Keep the area around it cleanly shaven as you grow out the body of the patch. Once you achieve the desired length for the goat patch, use your beard comb and beard scissors (or beard trimmer) to shape it accordingly. Keep the sides slightly shorter than the center to give it a nice rounded or faded look. This is a great style for guys with a diamond or triangular shaped face. It gives the face a bit more definition while keeping most of the face cleanly shaven. It is a more sporty or artistic look popular with American baseball players and music artists. Scott Spiezio of the St. Louis Cardinals sports a rockin’ goat patch. It’s rare to find celebs who wear this particular style, but there are some around. Here’s JC Chasez sporting the look. The Norse Skipper is a fuller and wider version of the goat patch. The idea is to grow the patch to a length you like but keep the whisker width no wider than the corners of the mouth. Imagine an upside down teardrop shape just under your bottom lip extending just passed and under the chin. Let your chosen area for the Norse skipper grow for at least 15 days. Keep the area around it, and the rest of the face, cleanly shaven. Once you get to the length you like, get out the comb and scissors (or trimmer) and start shaping. Like the goat patch, keep the sides slightly shorter than the center to give it a nice rounded or faded look. This is a great style for your round shaped face if you want a little extra attention on your chin. It’s not a common beard style, but it does look good on the right face when done well. 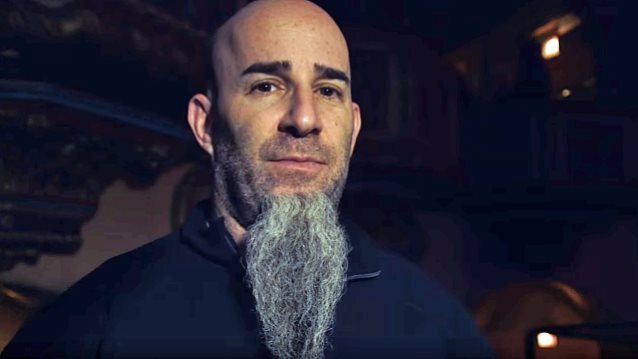 If you’re into heavy metal, then you are probably familiar with the iconic beard on Anthrax guitarist Scott Ian. It’s a bit modified, but it’s as close an example as can be seen on any celebs. Electric shaver (or manual razor), electric trimmer (optional), beard comb, beard scissors, shaving cream or gel, aftershave balm, beard oil. 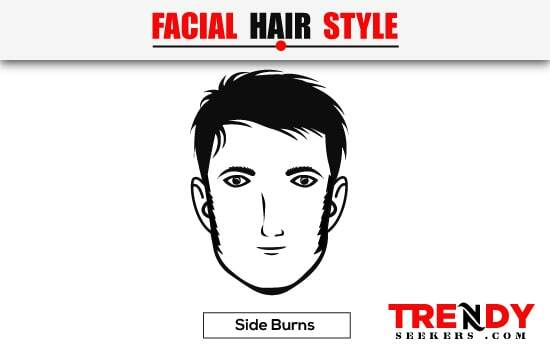 Most men are currently sporting one of the sideburn styles, although perhaps unaware. They typically form the edges of the hair in front of the ear and are trimmed along with a haircut while the rest of the face is kept either clean shaven or with some kind of style that is complemented by the sideburns. Longer hairstyles typically allow for longer sideburns as they then compliment the length of the hair. They typically go well with most beard designs as well. To maximize your sideburn appeal, the first thing to do is land on a particular style. There are short, long and tapered variations of the style that typically go with the kind of hairstyle you have. Short hair usually fits well with a short or long sideburn that is either cut to a length around mid ear (short) or around earlobe level (long). With a longer hairstyle, you can opt for a tapered look where you use clippers or beard scissors/comb to fade the sideburn from a bit longer at the hairline to your chosen shorter length at the bottom. Keeping your sideburns in check is as easy as giving them a trim when you see them getting a bit too long. Using either your comb and scissors or your trimmer, touch them up. You can also keep the sides and bottom slightly shorter than the center to give it a nice rounded or faded look (this is especially good if you have a thicker sideburn). You probably already rock some sideburns already and might not even pay them much attention. If they start to grow on you (pun intended), then you can make more of a concerted effort to maintain them as a standard part of your grooming tasks. 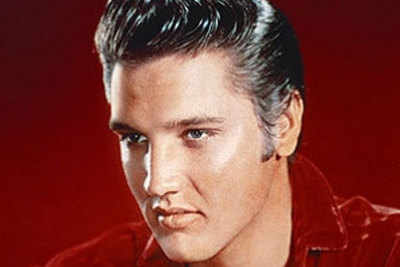 Obviously, the most iconic sideburns around are those on the face of Elvis Presley. For a more modern approach, check out Kevin Jonas’s long-style sideburns. 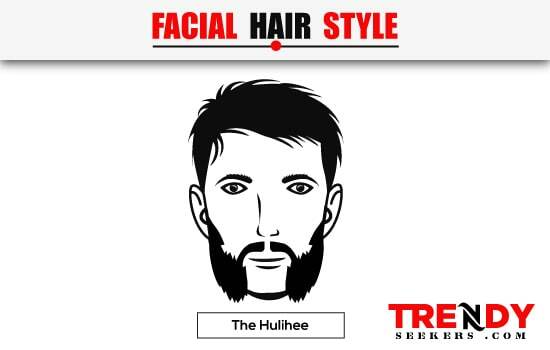 The chin strap beard is typically a continuous thin strip of hair that runs down the face from the sideburns and along the jawline. 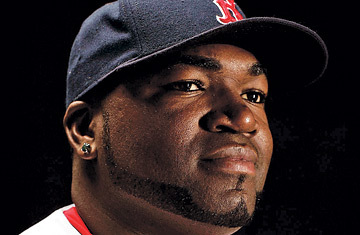 There are variations of the style that can be done by adjusting the thickness in places or creating a special shape or fade kind of like David Ortiz back in the day. The first step in achieving the chinstrap look is shaving the cheeks and neck. After growing out your stubble for a week or so, grab a high-quality trimmer and get to work on cutting the line you will reference for the strip. Use a manual razor to shave your face as it has a bit more control in the delicate area around the strips line. Be very careful around the edges of the strip. If you cut into it too far then you’ll be sporting a chinstrap with an uneven line, or worse, a chunk missing. If you are into a high maintenance beard, this is the one for you. It takes a lot of work to keep a chinstrap looking great, so you need to be prepared for some extra grooming duties. A great example of a well-kept chinstrap can be found on Chris Daughtry. Abe Lincoln also sported a modified version as his iconic look. Manual razor, electric trimmer (optional), shaving cream or gel, aftershave balm, beard oil (optional), line shaping tool (optional). Unless your Amish, it’s unlikely that you’ll be sporting a chin curtain. There are always exceptions to the rule, and you may very well be one of them. To get a great chin curtain going, you basically have to grow a full beard and shave your mustache and cheeks. Shaving the neckline is usually done as well. There is no specific limit to how long the beard gets or even the desired shape of it. The only rules are to keep the stash and cheeks shaved, and the beard as full as you like it up to the shaven neckline. Again, unless you’re Amish, you’ll likely be on a different beard boat. If you are one of those that are adventurous and want to sport something many others don’t, this could be a style that suits you. 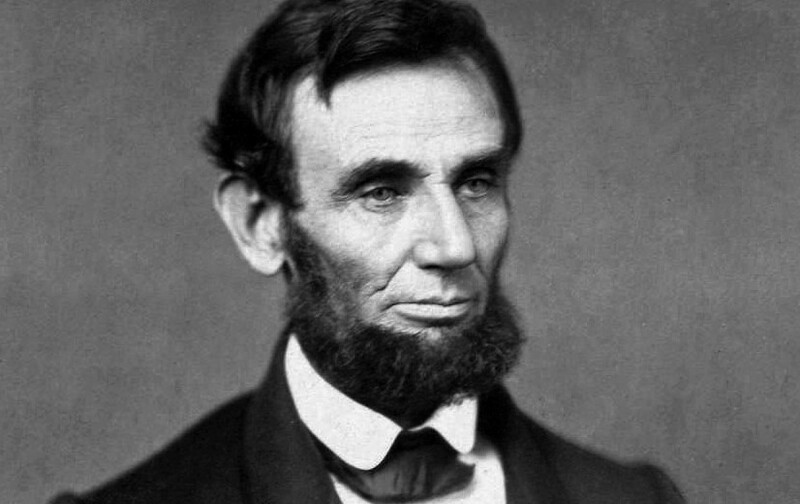 Abe Lincoln, in his fuzzier pics, most certainly sported a chin curtain. Manual razor, electric trimmer (optional), beard scissors (optional), beard comb, shaving cream or gel, aftershave balm, beard oil, beard brush. The Brett beard is basically just a chinstrap with a soul patch. It’s not a very common style in pop culture, but it can look really good if done right and cared for. 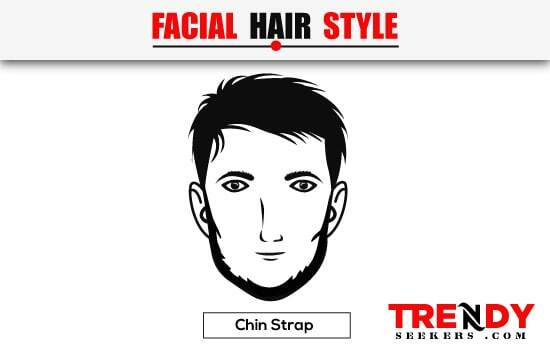 Follow all the guidelines for a chinstrap only make sure to grow a soul patch where you otherwise would have shaven under the bottom lip. Another one of those high maintenance beard styles due to the requirement of a chinstrap. Again, as imaged above, Chris Daughtry sports this style really well. He has a great example of a chinstrap, but he really sports the Brett beard. Apparently, this style was invented by some guy named Brett. Manual razor, electric trimmer (optional), shaving cream or gel, aftershave balm, beard comb, beard scissors, beard oil (optional), line shaping tool (optional). This is an old-school classic that is reminiscent of the chin curtain. It’s a full beard grown out about one to three inches in length connected to the sideburns and a shaven mustache. To maximize the beauty of this old-school look, start by growing out your beard to the desired length while shaving your mustache during this time. Once you have the desired length, grab a good pair of beard scissors and a beard comb and begin fine-tuning around the edges and take care of any stray hairs. Rounding the edges a bit gives this look a well cared for old-school style. If you like a classic old-school backcountry look, then you’ll love the dutch beard. It’s been around a long time and will likely continue to be worn on many faces by those who appreciate a touch of the classical. It’s hard-pressed to find a celeb or influencer who’s sporting the old dutch. It’s just not all that common today. However, just to get some eyes on it, this is what your beard can look like. Manual razor, electric trimmer (optional), shaving cream or gel, aftershave balm, beard comb, beard scissors, beard oil. The old Dutch is the long version of the Dutch. 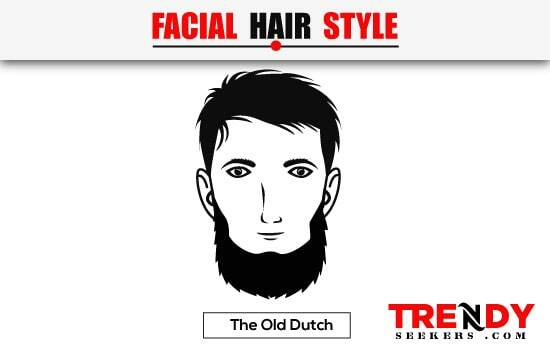 Everything about the dutch is just grown out to be a long beard style with a classical twist. Well, if you already like the Dutch and would prefer a longer style, you may be a great candidate for sporting an Old Dutch. Again, not many celebs have ever been caught sporting an old Dutch. It’s just not in vogue right now. However, here’s an example of an old Dutch gone wild. This is exactly as it sounds. It’s one of the classical goatee styles (with or without the mustache) with an added chinstrap. Follow the directions on how to create a great goatee, and the guidelines on what it takes to sport a chinstrap and you’re off to the races! This is one of those classical faded beard styles that are all the rave with certain guys. This is a great style if you have a long or oblong shaped face. It is going to take some work though so make sure you’re prepared for extra time in the grooming room. There are a few celebs that sport this style regularly. AJ McLean from the Backstreet Boys is a great example of a well-worn goatee (with mustache) and chinstrap. This is the foundation of one of the most popular beard styles around. The classic goatee is basically a chin beard with a shaved mustache, neck, and cheeks. If you’re wondering how to grow a goatee, there are many variations, and we will get to those in a minute. Quick tip: If you want to know how to trim a goatee like the pros, use your beard comb and beard scissors. They allow for more detail and control. Anyone with a round face can sport a classic goatee (no mustache) like a champ. For a glance into the celebs who like this look, search no further than Benicio Del Toro. He looked great over the years with this timeless classic. Electric shaver (optional), Manual razor, electric trimmer (optional), shaving cream or gel, aftershave balm, beard comb, beard scissors, beard oil (optional). Typically when someone thinks ‘goatee,’ they are referring to the ‘full goatee.’ The full goatee (aka circle beard) has a mustache and beard combo that connects around the side of the mouth to a chin beard. There are many types of styles you can do with the goatee. It can be worn as long or as short as you desire, but usually, it is kept short and well-groomed. Follow the directions for growing a classic goatee, but grow your mustache at the same rate. There are no special conditions for the mustache, other than to keep it trimmed and neat (at least the same as your beard is), not surpassing the chin beard in width. The full goatee is one of the most worn beards to date. It’s easy to maintain, looks great on most faces, and adds a bit a maturity to your look. You’ll really love a goatee if you have a diamond shaped face as it helps to frame in your jaw and soften the edges of your chin. One of the nicest celeb full goatee’s around is found of the face of Will Smith. He’s been sporting a full goatee on and off his whole career, and it continues to provide a great example of how an iconic style never really dies. After all, what is a goatee good for if not to keep a man looking great? This is another mustache and goatee combo with an extension. The extended goatee beard is basically a full goatee that has an extended beard along the jawline. The beard extends to about the halfway point between the chin and where the corner of the jaw. There are no sideburns for this particular style. 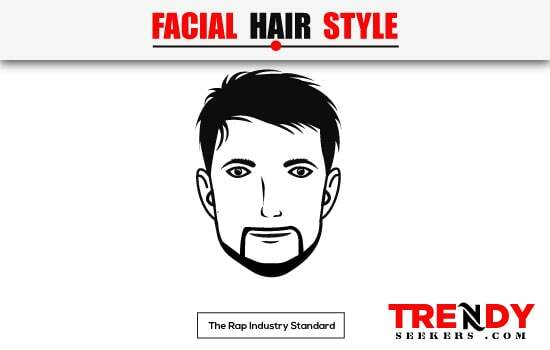 Follow the guidelines for the full goatee, but make sure to grow a bit more beard along the jaw. Keep your neckline in a U shape about two fingers from the tip of your chin curving back to the edges of your beard as it wraps around the jawline. If you’re someone sporting an oblong face shape you may appreciate the way this particular style looks on you. It’s fairly easy to maintain, and there is lots of room to keep the length where you want it. 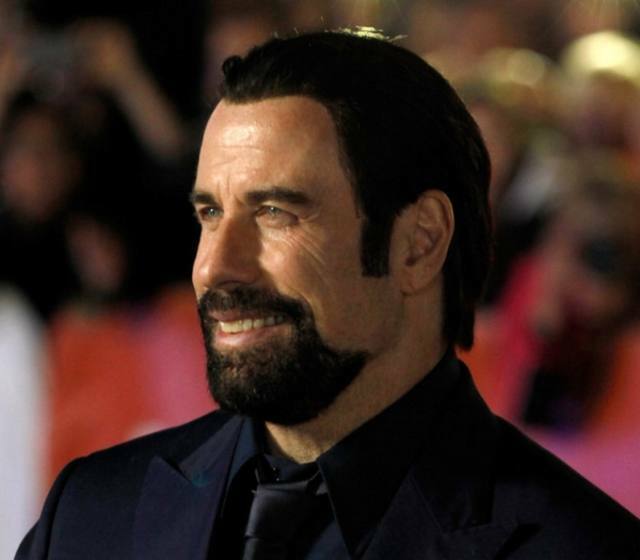 Here’s an example of John Travolta sporting the extended goatee. A lot of men have an issue when growing hair between the mustache and the chin beard. It seems like they just don’t want to connect. In this case, rather than catching a bad case of beard envy, it’s often a great look to instead sport a goatee and mustache combo. Grow out both your chin hair and your mustache hair to a desired length while keeping the cheeks and chin cleanly shaven. Carve out the desired width of your goatee to match closely to where your mustache width ends. Once you find the balance, break out the beard scissors and beard comb and trim up the edges. Take care of any strays as well. You’ll probably really like this look if you have a square face. It leaves a bit of ‘air’ around the beard and frames your face quite well. This can also make for a great Asian beard when styled well. 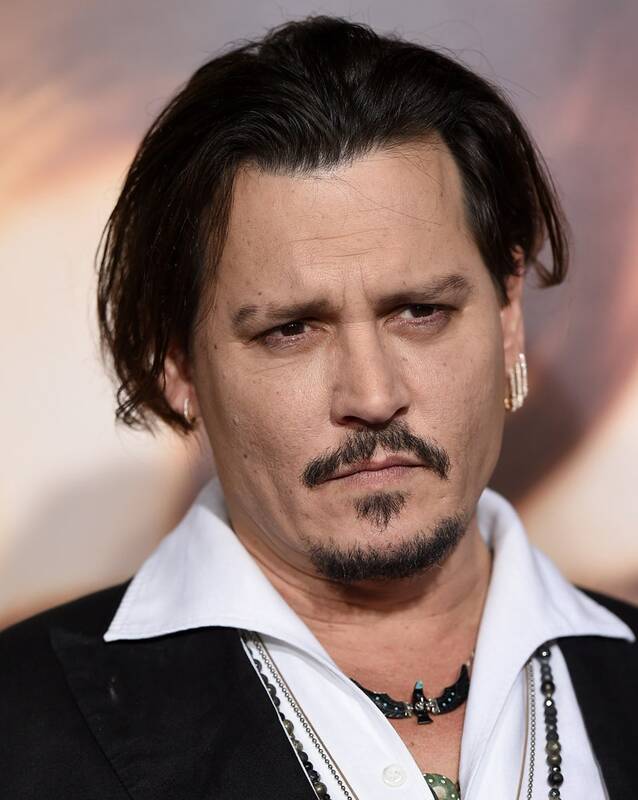 The most popular goatee and mustache celebrity example is found on the face of Johnny Depp. It’s a perfect example of what a goatee and mustache combo can look like for the follically challenged. 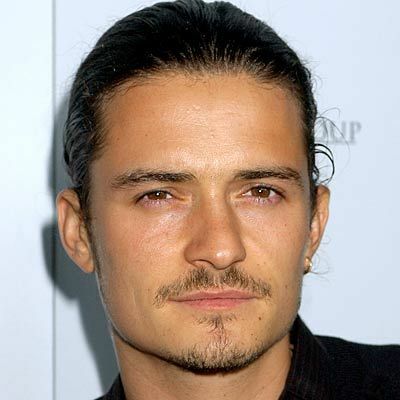 Another great example is worn by Orlando Bloom. Very much like the Norse skipper and the goat patch, the petite goatee is one of the goatee types that keeps the chin beard and shaves everything else. What makes it a bit different than it Norse cousin is that it starts a bit further down on the chin. Rather than starting at the bottom lip, the top of the petite starts at the crease where the bottom lip meets the chin (about two fingers under the bottom lip). As a bit of a longer style, before shaping the petite goatee let the hair grow out to a length of one to three inches. Cleanly shave the rest of the mustache, face and the neck (with either a manual razor or electric shaver). Once you’ve achieved the desired length, shape the petite goatee by keeping the top a bit more narrow than the bottom by angling the cut from the bottom lip out toward the jawline. Using beard scissors can get a more detailed result, but a beard trimmer can be used too. This is a style that goes well on someone with a square face. If you already sport a classic goatee and want a bit of a longer style, the petite goatee may be exactly what you’re looking for. 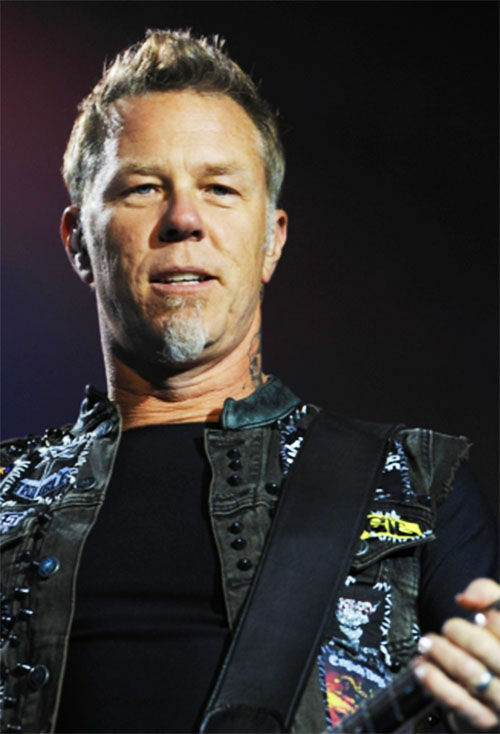 If you’ve ever listened to the big guitar sound of the metal band Metallica, you’ve been a fan of petite goatee-sporting fretboard shredder James Hetfield. This style is called the anchor because that’s exactly what it resembles. To get a great anchor beard going, grow out your facial hair for a week or so. Get out the trimmer and carve the line where the edges of the beard, mustache and soul patch can all form a consistent anchor shape. Keeping the strip thin and well groomed is typical, although there really aren’t any limitations on how long you let it grow. Keep the rest of the face cleanly shaven. This style works well on both a round and triangle face shape. It helps a round face narrow a bit and can form a great frame for the chin on a triangle face. It’s a bit tough to find a celeb sporting the anchor right now. There are a few close contenders, but they more or less fall into another style. Even so, you’re looking to achieve something like this. Electric shaver (optional), manual razor, electric trimmer, shaving cream or gel, aftershave balm, beard comb (optional), beard scissors (optional), beard oil (optional). This is a fun style with a western feel. It’s a handlebar mustache and a goatee combination where neither one is attached to the other. To achieve a great handlebar goatee begin by growing out both your chin and mustache until it reaches between one and three inches in length. Resist the temptation to trim the mustache as it needs as much length as you can get to achieve the iconic curl. Keep the cheeks and neck cleanly shaven. Once you’ve reached the desired length, starting with the goatee, break out the beard scissors and beard comb and start detailing the edges and taking care of any stray hairs. Move on to the handlebar next. You’ll need some beard wax to get this one going, especially at the ends. But first, start by combing the handlebar in opposite directions beginning in the middle under the nose. Use some wax and begin shaping the handlebar by carefully twisting and curling in the same direction each side (your index finger would move away from your face and thumb would move toward your face while twisting). Trim to the desired length and take care of any hair that is out of place. If you like to stand out from the crowd, this style will certainly get heads turning. It’s not something that is worn very often so when a handlebar goatee makes an appearance, it’s sure to be noticed. This look is especially suited for a long face shape. As you can imagine, there are few, if any, examples of celebrity sporting a handlebar goatee. Even so, it looks a bit like this. Electric shaver (optional), manual razor, electric trimmer, shaving cream or gel, aftershave balm, beard comb, beard scissors, beard wax, beard oil (optional). Akin to the goatee and handlebar, the Norse skipper and handlebar combine to create a more narrow and long look to the chin hair, kind of like a long goatee. To achieve this style, follow the guidance on the goatee and handlebar only opt for the Norse skipper instead. Like the goatee and handlebar, this is a great style if you are looking to attract some attention. If you have a square or diamond shaped face, this can work well for you. A fun example of a celeb sporting the Norse skipper & handlebar is this pic of Mel Gibson. The key to achieving a great rap industry standard is in how thin you can keep the strip and mustache (It’s one of those types of mustaches that look like a pencil thin line). This is what gives it the iconic look. It can be tricky to keep the hair lined up perfectly, but if this is your style it’s worth the efforts. To achieve this style start by growing your facial hair for about a week or so. Get out the trimmer and start carving your line. Follow just above the jawline and chin to outline where you shave up to on the neck. Then create a line about a half inch above that one to form the upper edge of the chinstrap all the way up to the hairline. To form the mustache, trim the underside about a quarter inch above the lip for the bottom and about a half inch under the nose creating a strip about a quarter inch thick (or thinner if you’re really good with a trimmer). The soul patch is kept very thin, like AJ McLean is sporting here, and can be a line, or a patch that is kept the same length as the rest. Now break out the electric shaver or razor and clean up the rest of the face. If you’re in the music industry and love yourself a bit of hip-hop, this might just be your jam, fam. It’s especially great if you have a round face as it helps to give a little more length to the face and gives the impression of a narrower cheek (makes a stronger look to the jaw). A lot of people have worn this over the years, especially in the rap industry, thus it’s name. 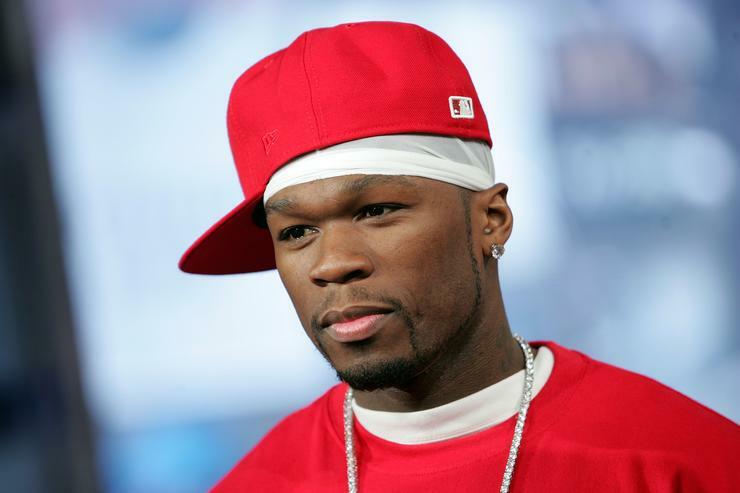 You can see 50 cent rocking the style in his early days. The Balbo beard takes your three favorite facial hair areas and brings it into one style. The mustache, the chin beard, and the soul patch all come together in harmony to create the Balbo. There is really no limits as to how long you let the Balbo grow. However, it is typically kept short and well maintained. To grow the Balbo, let your facial hair grow for about a week. Once you have achieved a good length to work with, begin by trimming your lines. Choose one of the desired sideburn styles and square it off at the bottom. Starting at the corner of the jaw, carve a line toward the chin that will frame the beard. Now carve the line under the chin by following the jawline all the way around just under the jaw and chin (can be a width of two or three fingers if you wish). Tidy up the soul patch and mustache with beard scissors and a beard comb to get the shape you are looking for. Now shave the rest of the face with an electric shaver or manual razor. This is a similar style to the anchor or extended goatee. If you have a square or diamond shaped face, the Balbo can help to frame the face quite well. Although it’s not really a Balbo per se, the style we’ve seen popularized by Robert Downey Jr is pretty close. 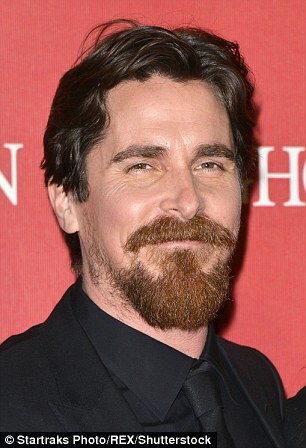 A more traditional Balbo is being worn a bit scruffily by Christian Bale here. Electric shaver (optional), manual razor, electric trimmer, shaving cream or gel, aftershave balm, beard comb, beard scissors, beard oil (optional). This is kind of like a combination of a Balbo, a Norse Skipper, and a goatee & mustache. What gives the Van Dyke beard it’s characteristic look is the pointed chin beard framed by a longer mustache. The mustache can even be a handlebar if you want to reach for the wax. To achieve a great Van Dyke, grow out your chin beard a good three to four inches in length. Keep the width about as wide as your chin (about one finger width around the side of the chin or a finger width from the side of the mouth). The mustache can be the same length or a bit shorter to suit your particular style. 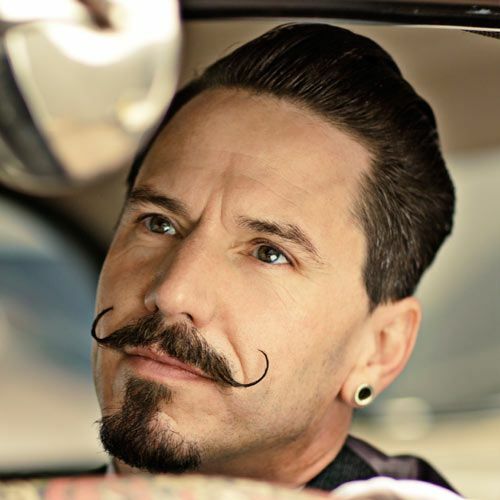 If going for a handlebar, avoid trimming the mustache until you’ve reached the desired length. Once you’ve grown out the chin beard to the length you like, get out the beard scissors and beard comb and begin to shape the beard into a point in the middle. The sides will be a bit shorter than the center to achieve this look. Trim the mustache as well keeping the bottom line just above the top lip. Thin it as much as required (or leave as is and curl with wax for the handlebar). Cleanly shave the rest of the face. This is a tapered beard style worn by more people than you may at first assume. It can look great on a long face shape as it can give the impression of a rounder jaw. 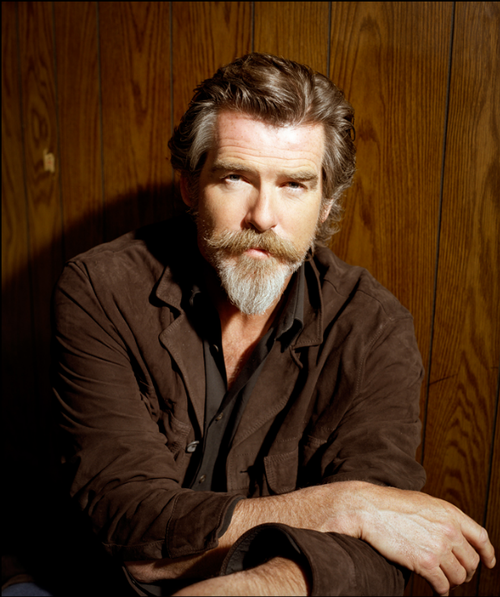 An excellent example of a voracious Van Dyke is worn here by Pierce Brosnan. Electric shaver (optional), manual razor, electric trimmer (optional), shaving cream or gel, aftershave balm, beard comb, beard scissors, beard oil, beard wax (optional). To achieve this style fist start by growing out your beard for a week or two. Once you get to the desired length, break out the trimmer and clean up the cheeks a bit. Choose a line that works and just go with it. Don’t go so far down that you are into chinstrap territory though; you still want it to look like a beard. Go for a traditional ‘U’ shaped neckline about two fingers above the Adam’s apple and shave below. Trim once or twice a week with an electric trimmer or beard scissors to maintain desired length and keep the cheeks and neck cleanly shaven (or trimmed with no guard). This is a great style if you want to sport a beard but don’t really want to let it grow very long (a half-inch or so). It gives the impression of maturity and confidence while still keeping you looking mysterious and adventurous. This is a great beard for professionals as it keeps things clean and neat yet still communicates your inner masculine wild side (aka your ability to take a calculated risk, and win). 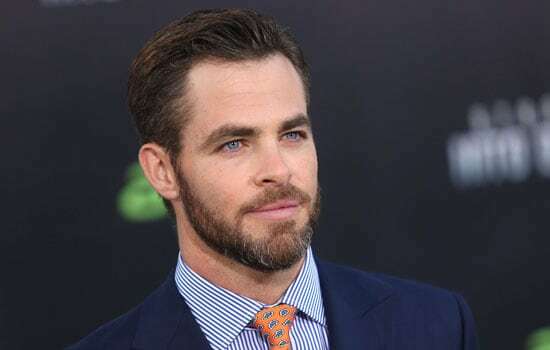 If you’re into Star Trek, you may have seen Chris Pine (Captain James Kirk) around the red carpet sporting an awesome short boxed beard. Electric shaver (optional), manual razor, electric trimmer, shaving cream or gel, aftershave balm, beard comb (optional), beard scissors (optional), beard oil. This is the professional brother of the short boxed beard. There is not much distinction between the two other. Where they differ is in the length options. The short boxed beard is always kept short whereas with the corporate beard you can allow it a bit more room to grow in relation to the kind of hairstyle you are sporting. The longer the hairstyle, the longer the corporate beard’s potential. Keep in mind, however, that this is a well-maintained beard. This is not a beard that is growing wild with stray hairs everywhere and a desire to be in the backcountry. Its professional look lends very well to entrepreneurs and businessmen alike. To grow and maintain this beard follow the direction for the short boxed beard. The only modification is in the length you choose in relation to your hairstyle. If you are into the full beard style and want to sport it with a well-groomed appearance, the corporate beard will work really well for you. It’s great for giving the impression that you are a go-getter, a risk-taker, and a down-to-earth confident man. I suppose in putting the ‘corporate’ in the corporate beard, there should be a celebrity example in the business world. The best example is the beard Steve Jobs is sporting in this iconic photo. The Hollywoodian style takes a goatee and mustache and modifies it a bit. It’s like one of the full beard styles but without the sideburns and with a shaven neckline. It’s a great introduction to long beard styles while still keeping short enough to pass a beard-check. To achieve this style grow out your facial hair for a week or two. Grab the beard trimmer and take off the sideburns. Continue down the cheek until you get to the corner of the jaw. Keep this space trimmed. Groom the beard and mustache to look neat and tidy with a sharp pair of beard scissors and a beard comb. Keep the neckline to a traditional ‘U’ shape and keep cleanly shaven. Because this is a more ‘vintage’ style, you’ll likely appreciate sporting this look if you want to add an air of revival to your persona. If you have great cheekbones, then this can be a great style when paired with a square face. If you’re on the lookout for a celeb sporting this style, look no further than Leonardo Dicaprio. Electric shaver (optional), manual razor, electric trimmer (optional), shaving cream or gel, aftershave balm, beard comb, beard scissors, beard brush (optional), beard oil. The ducktail is a full beard style with a pointed (or slightly rounded) chin beard. To achieve this look, start by getting a full beard going. Once you’re at this stage, you can begin trimming. Using a beard comb and beard scissors begin shaping the point from the top down. Take your time. Once you have the shape you like, get on with the cheeks. Keep the cheeks shorter than the rest of the beard for a clean and tidy style. Getting the fade between the chin and the cheeks takes a bit of practice, but once you have it down, you’ll be very happy with the results. If you’re looking for a sophisticated look that sports a well-groomed appearance with some flair, this is the style for you. It’s great on triangular, diamond, rectangular and round face shapes when done right. The ducktail is a pretty common style and can be found on many men today from athletes to celebs. Mel Gibson can be seen sporting one in this cool pic. Electric shaver (optional), manual razor, electric trimmer (optional), shaving cream or gel, aftershave balm, beard comb, beard scissors, beard brush, beard oil. The French fork is basically a ducktail that shaves the cheeks a bit lower and splits the chin beard into a ‘forked’ look. To achieve this style, grow out your ducktail. Once you have a rockin ducktail, you can split the point in two with your beard comb. Use your beard scissors to trim it where needed. You may want to use a bit of beard wax to hold it in place if you have stubborn whiskers. If you have a rectangular face and want to achieve a bit more of a rounded look, the French fork style can help you achieve this. You have to be able to grow a full beard for this style to work well for you though. If you’re follically challenged, you’ll want to avoid this look. To look good, your beard needs to be thick and full. Not a lot of celebs sport a French fork. 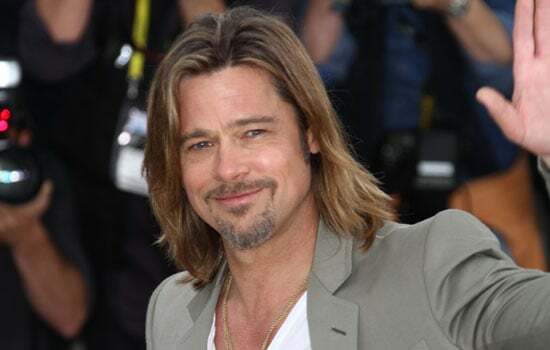 You can get a glimpse of this style with Brad Pitt sporting his variation of look. Electric shaver (optional), manual razor, electric trimmer (optional), shaving cream or gel, aftershave balm, beard comb, beard scissors, beard brush, beard oil, beard wax (optional). This is the most self-explanatory of all beard style: grow hair on your face, in full. If you’ve ever wondered how to grow a full beard, unless you’re follically challenged, that’s the secret. You’ll be sporting a full beard after growing out your beard for six to eight weeks. Nice beards like this one require some attention to really look great. If you want to trim and shape the beard once it gets to length, grab a beard comb and beard scissors and take your time as you go over your facial hair. Finish with some beard oil or beard balm to give it that healthy sheen and keep a brush or comb on hand to tame it throughout the day. Quick tip: When growing a full beard, make sure to take care of your skin. We cover that in the ‘Badass Beard Care 101’ section below. In fact, all the awesome beards in your future will benefit from this section. There are so many different types of beards around, but this is the big daddy. Do you love full beards? If so, you nailed it with this one. A relatively low-maintenance beard style (insofar as carving lines and such) that makes a statement. You’ll look confident, strong, and gentlemanly while sporting this timeless look. Lots of guys like to sport the full beard at some point in their lives. 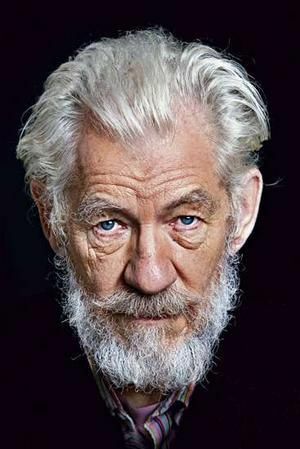 A great example in the celebrity space is Sir Ian McKellen. Another notable mention is Zach Galifianakis. Beard comb, beard scissors, beard brush, beard oil, beard balm (optional). The Garibaldi is a full beard that is allowed to grow out a bit with a rounded bottom and trimmed mustache. It gives the chin a fuller look and adds length to the face. To achieve a Garibaldi, grow a full beard. Once you have a full beard going, begin growing out the bottom. Keep the mustache short and the cheeks faded into the length of the beard. Trim the bottom into a rounded shape with a good pair of beard scissors and a beard comb. Wash the Garibaldi with a nice natural beard shampoo to get the softness and flake-free look you’re going for. Finally, finish with some beard oil or beard balm and brush or comb throughout the day to keep it looking fresh. 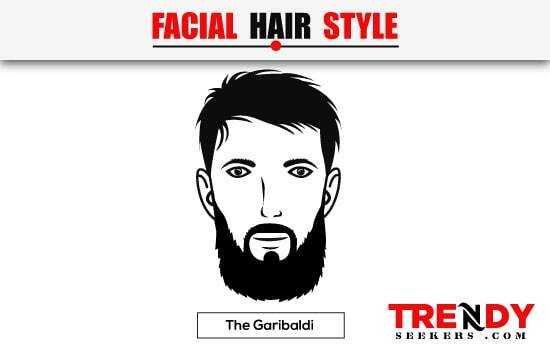 If you want a long-beard but still like to keep it a bit more tame, the Garibaldi can work well for you. This style works especially well on a rectangular or oval face. 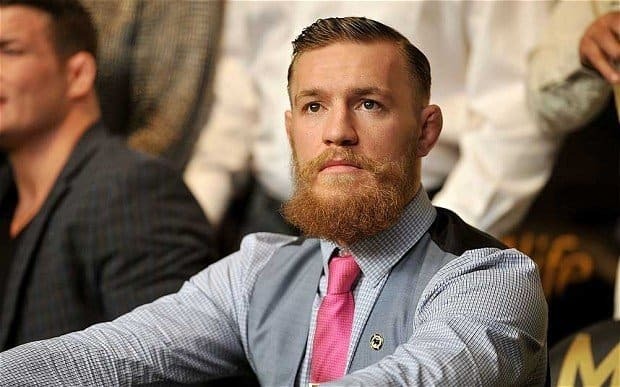 If you’re into UFC, you’re familiar with the iconic look Conor McGregor goes for with his modified Garibaldi which gives him a slightly more square jaw and intimidating look. Beard comb, beard scissors, beard brush, beard oil, beard shampoo, beard balm (optional). The Verdi is a modified Garibaldi that focuses a bit more on a refined mustache. To achieve this look, start growing your Garibaldi but keep the mustache separate from the beard while trimming. Do not blend them together as you would with a Garibaldi. When you achieve the desired mustache length, use your beard comb and beard scissors to shape the mustache into the style you prefer. You can even go full handlebar with the Verdi if you like. If you require a bit of wax to tame a stubborn mustache, this is fully on par with this style. A good beard shampoo can be your friend with this style, so look into one or yourself. Again, finish with some beard oil or beard balm and tame it with a brush or comb throughout the day. If you love the long beard but also really like to have a defined mustache, you’ll love the Verdi. You’ll suit this best if you have a more triangular face. Remember the ‘modified’ Garibaldi that Conor McGregor is sporting above? This pic of him shows his appreciation of a solid Verdi. The Yeard is a full beard left to grow for a year or more. That’s basically it. This is typically the one you think about when you imagine a lumberjack beard. To achieve this, grow out your beard for a year and detail (if at all) with some beard scissors and a beard comb. There is no specific thing you need to know for how to trim a long beard, except taking your time and keeping it symmetrical. As you go through the beard growth stages, to keep this wild whiskered wonder in check, opt for a good beard brush, some beard oil, and some beard balm. To avoid a scruffy beard, you’ll also do well with a good beard shampoo designed specifically for a style like this. Remember, a beard shampoo helps keep the itch down, and any beardruff can be typically kept at bay. If you don’t’ have any restrictions in the workplace or any safety hazards in your lifestyle, this could be the beard for you. You’ll obviously have to be prepared for some time to pass before you can confidently boast the yeard, but the wait can be well worth it for you if this is your favorite look. If you can’t grow a beard, this is not the style for you. Check out the section on beard growth products if you have this problem. Jim Carrey is sporting one helluva yeard (could even be approaching a tweard – a two-year beard). This is certainly not for those who can only grow a thin beard. It’s thick, bountiful, and full. Beard comb, beard scissors, beard brush, beard shampoo, beard oil, beard balm (optional). The Zappa is a style that marries some light stubble with a square soul patch and a modified (shortened) horseshoe mustache. To achieve this iconic look grow out your stash and soul patch for a few weeks. Keep the cheeks and neck trimmed to a nice light stubble as you go. Knock off the ends of the mustache about halfway down the distance between the bottom lip and the chin. Trim the soul patch into a square shape. Keep the two at relatively the same length and trim as required with a beard comb and beard scissors. Cleanly shave the rest of your face and neck. This is a great style if you have a square face. It helps to add some character to the lower part of your jaw and lip causing a more fun and adventurous look to arise. This is one of those classical cool beards that can stand out in a crowd, but also be humble enough to sit in on a nice dinner date. Well, considering this is named after the one and only Frank Zappa, it seems appropriate to use him as the celeb to watch on this particular style. This is a style combines a full horseshoe mustache with a soul patch and sideburns (that don’t meet). To achieve this look, grow out your beard for a good week or two. Get out the trimmer and start with the sideburns. Cut the sideburns off about a finger width from the bottom of the jaw. Next, line-up the mustache evenly on both sides of your mouth and keep it to about a half inch in width. Now give your soul patch a trim to clean it up and give it it’s angled look. Cleanly shave the rest of your face and neck. Maintain this look by keeping all the long hair trimmed to about the same length with your beard scissors and beard comb. Keep the rest cleanly shaven. This can give you one of those looks that are often found worn by the guy on a motorcycle with a black leather vest deafening you with his massive exhaust pipes while he rides by seemingly unaware of his betrayal of your quietude. It’s testament to the idea that bad beards don’t actually exist, it’s all in how you wear them. Also, if you’ve got a diamond face, you may appreciate how this one frames you. When you think of the Winnfield, you think of the character Jules Winnfield (played by Samuel L Jackson) in the pop culture classic Pulp Fiction. Beard trimmer, manual razor, electric shaver (optional), beard comb, beard scissors, beard oil (optional), shaving cream or gel, aftershave lotion. Muttonchops are basically a massive full set of sideburns. To achieve the mutton chops beard look, let your beard grow for a couple weeks. Once to length (at least a couple of inches), grab your trimmer and carve a line angled toward the chin about a finger width from the edges of your mouth. Trim the rest of the area (chin, neck, and mustache) to give it a light stubble look. Trim your muttonchops with a good trimmer or a pair of beard scissors and beard comb. Finish up with some beard oil to give this look its final sheen. If you have a pointy chin, you’ll probably want to avoid this look. It works really well on guys with a more round or oval face as it plays to the natural curvature of the chin and cheekbones. John Lithgow has recently been spotted sporting a nice set of muttonchops. John Lennon was also a supporter of this look. Beard trimmer, beard comb, beard scissors, beard oil (optional). The Wolverine beard is a style that mixes up a full beard with a set of muttonchops. It’s kept shorter than what traditional muttonchops are. To achieve this look, grow muttonchops but keep them trimmed to about an inch or less in length. If you like the look of muttonchops but find them a bit too scraggly, this is the one for you. Don’t be alarmed if people start comparing you to their favorite superhero. 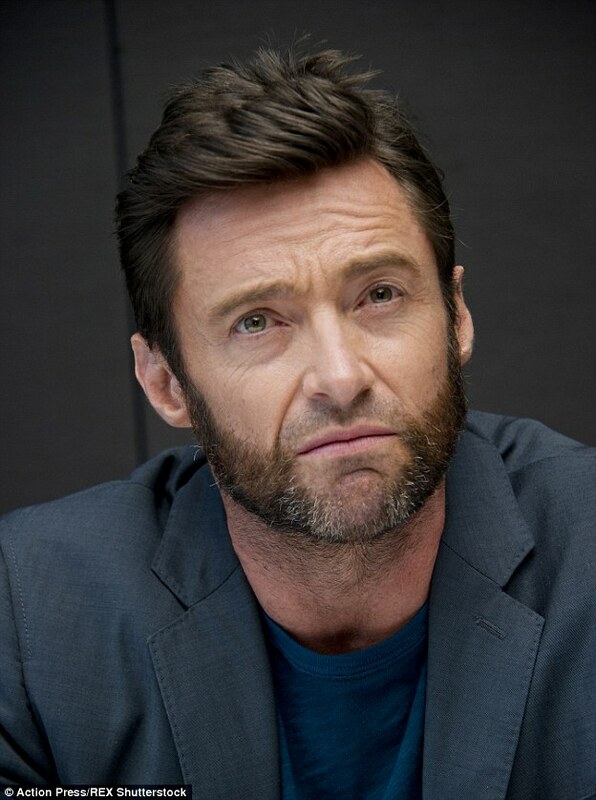 The obvious answer here is to go check out Hugh Jackman playing the part of the conic superhero Wolverine. This is another one of those self-explanatory styles: it’s muttonchops and a mustache combined as one seamless look. To achieve this style, grow your beard for a week or two. Once a good length is achieved (about an inch or so) you can start shaping the style. Follow the same guidelines as you would for muttonchops only this time you’re keeping the stash as well. Keeping the whole thing about the same length is the standard. However, you can play around with fades and lengths to suit your facial structure and preferred style. You can also opt to clean shave the rest of the face with this style to give it that ‘friendlier’ appearance (although not necessary). When people think of muttonchops, it’s usually including the stash. Even so, that’s not traditional muttonchops and adding the stash is adding some flair. If you have a round or oval face, you’ll sport this style well. Here’s Bill Murray rocking a wicked mustache and muttonchops combo. Beard trimmer, manual razor (optional), electric shaver (optional), beard comb, beard scissors, beard oil (optional), shave cream or gel (optional), aftershave lotion (optional). The Hulihee is a set of muttonchops left to grow wild. To achieve this look, grow a pair of muttonchops and only trim to create shape while keeping them growing forever and ever… and ever. If you want to achieve the look that screams ‘my face is an airplane,’ then this will suit your needs well, especially if you have an oval face. You’ll be hard-pressed to find a celeb sporting a Hulihee any time soon, However, here is what you can achieve with a bit of patience. Beard trimmer, manual razor (optional), electric shaver (optional), beard comb, beard scissors, beard brush, beard oil (optional), shave cream or gel (optional), aftershave lotion (optional). 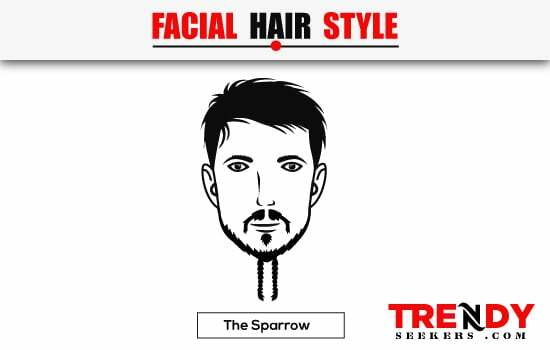 The sparrow is certainly a beard like no other. This mix of a soul patch, extended goatee (trimmed at sides, and grown long enough on the bottom to braid), and mustache is an iconic look and can be achieved with some patience. To achieve this look, grow out your beard for a week or two. Once an inch or so in length begin the process of shaping the overall form. Shape the goatee, neckline, and cheeks as you would for an extended goatee only leaving the chin hair to continue growing. Form the mustache just over the edges of the lip but don’t breach the bottom lip too much. Let the soul patch grow a bit and shape it to meet your stylistic preferences. Shave the rest of the face and neck. Put it this way; if you want to look like a modern pirate, this is your style. You’ll certainly grab some attention with this proven crowd-pleaser. Captain Jack Sparrow (played by Johnny Depp) is the model after which this iconic style is grown. Beard trimmer, manual razor, electric shaver (optional), beard comb, beard scissors, beard oil (optional), shave cream or gel, aftershave lotion, hair ties (for braids), hair beads (optional bling). Just as the name suggests, this style is modeled after one of the extra-terrestrial characters of Star Trek, the Klingon. What it really is, though, is a full beard with a shaved mustache all kept at the same length. To achieve this look, grow a full beard and shave the mustache. Sport this style if you’re a fan of Star Trek and have a diamond-shaped face. It’s all about those Klingons. Throughout history, beards have played many roles. What is a beard for anyway? From an evolutionary perspective, the most basic pre-historic features such as environmental protection, intimidation, and warmth served ancient man as an extension of basic survival and hierarchical needs. Today, interestingly, it’s not all that much different. Although most of us are no longer in dire need of protecting our faces from the elements due to the advent of various clothing and accessory technology, we still use beards to indicate regality, poise, masculinity, and style. If you were living in ancient Mesopotamia (modern-day Turkey), you likely took great care of your beard, as was the culture. Beard oil, dyes, and various grooming tools were commonplace and were used to indicate status, in-vogue fashion, and overall masculinity. In ancient Greece, beards were often worn curled, seen as a sign of honorability, and were only cut in punishment. Alexander the Great, around 345 BCE, made a law that charged soldiers with the task of keeping cleanly shaven to protect them from being led by the beard into an enemy sword during battle. Ancient Roman men liked to keep their beards well-kept. Once hygienic reform was introduced around 616-578 BCE, Roman men were encouraged to use a razor to shave. As much as the ruling class tried to implement this hygienic reform, it wasn’t until nearly 100-years later that people actually began to adopt these policies, although philosophers still kept the long-beard. Up until the advent of Christianity in the early 7th century, even the Anglo-Saxon sported some good ‘ol gruff. However, this was quickly outlawed by the clergy. It wasn’t until the beginning of the crusades many years later that men began growing out their beards again, resisting the rule of law at the time. This initiated a four-century-long bearded liberation that included the likes of Sir Anthony Vandyke (The original Vandyke). This was also a time of innovative gadgets and products to keep and maintain beards all day, as well as during sleep. Today, in most parts of the world, we basically have a free-for-all approach to how we want to grow, style, and maintain our beards. There are many different face shapes, and the shape of your face can play a big role in the kind of beard style and beard shape you choose. More than this, when looking into how to shape a beard, your face shape can determine the kinds of tools and products you will use to get the best end result from your grooming standards. When adopting a beard grooming routine, keeping your eyes on the target style is all you really need to do. There are always great beard trimming tips that you can use to maximize your style, and they are best used in conjunction with your face shape. To give you a leg-up and save you some time, here is a list of the common face shapes and the beards that go well with them. If your cheekbones are the widest part of your face, then you are likely sporting a ‘round’ face shape. Your face is typically as wide as it is long with your forehead and jaw sloping softly toward the cheeks. The best beard style for this facial shape is one that is longer on the bottom and short on the sides. If you have a strong jawline angle, with a face as wide as it is long, and slightly graduated cheekbones, then you, my friend, are sporting a square face. The best beard for a square face and square jaw is one that lets you add a bit of length at the bottom and is kept shorter on the sides. You’re rocking a triangle shape if your face is as wide as it is long, your cheeks sharply slope chinwardly, your jaw is prominent, and your forehead and cheeks are about the same width. Again, choose a beard style that is longer at the bottom and shorter on the sides, with a slight modification: keep the hair a bit wider on the graduated parts of the chin. This helps to create a bit of a more oval shape. Sporting an oval face shape is one of the best to have when it comes to growing a beard. This is because most styles will look good on you. If your face is longer than it is wide, you have prominent yet soft jaw, and slight angles toward the jaw and forehead, you’re the lucky winner of the coveted oval face shape. The best beard shape for an oval face is one that keeps the hair an even length on the bottom and sides. One of the rarer faces, you are sporting a diamond face shape if your cheekbones are the widest part of your face with the forehead and cheekbones angled more sharply than on a round face. You may or may not have a sharp and pronounced jaw. The best beard to suit this kind of shape is one that adds some curves to the sharp angles toward the chin. Basically, keep the bottom longer and the sides shorter in proportion to the angles of the jawline. If your face is longer than it is wide, with either a square or rounded jaw, you’re sporting a rectangular face. The objective behind the beard here is to broaden the face with longer sides and a short bottom. With a Few Tools, Products, and Accessories You’ll Have a Perfect Beard in No Time. Looking to be one of the best looking men with beards around? The first thing you’ll need to grow an awesome beard is patience. It just takes time. It takes a bit more or less depending on genetics, but it takes time nonetheless. Have patience, get the right tools, products, and accessories for your specific needs, and let ‘er rip! If you like to have a few tools, products and accessories on hand for various beard related care and maintenance, here are a few of the most important pieces for your grooming collection. A quality beard trimmer is one of the most important tools in your beard care kit. With the right trimmer on hand, there’s really not much between you and a great beard. Even if your one of the follically challenged, you can still sport at least a bit of facial fuzz if you adopt enough of a will to succeed and use the right tool for the job. When choosing a good beard trimmer, make sure to address more than just your desire to clip and trim. If you’re looking into how to shape your beard, first get into some of the details of how you groom. Do you want a beard fade? Are you fussy about how straight the lines are? Do you carve lines or leave them organic? Do you groom other areas than just your beard? Because there are so many different options when it comes to beard trimmers, asking yourself these questions helps when making a buying decision. 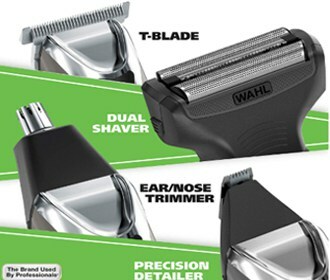 The best overall trimmer for nearly any grooming needs is the Wahl Lithium Ion Plus Stainless Steel Groomer. Check out the review here. Ultimate Guide & Review: The Top 12 Best Electric Razors To Buy! Unless you’re one of those in the most hard-core anti-shave category of our bearded brotherhood, you never really put down the shaver for good. There are still plenty of opportunities to use a more traditional approach to the neck and fine detail areas. Using an electric shaver can help with that. 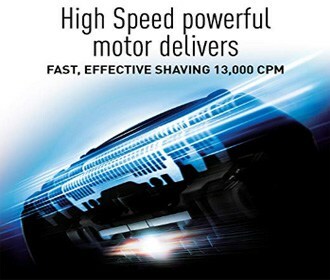 Try opting for something like the Panasonic ES8243A Arc4 Electric Razor to get the job done well. If you want a beard that looks, feels, and smells great, you’re really going to love beard oil. The look of a well-maintained beard is not always easy to come by. Having a stash of high-quality beard oil can be one of the saving graces in your grooming routine. Beard oil acts like your natural oils would and give your beard that healthy fullness that’s easier to maintain. If you make beard oil another essential element of your daily routine—like showering, body care products, etc.—you’ll soon see the positive results of its use. Protect your skin and beard from the weather. It helps to moisturize your skin and hair. Get rid of beardruff — dandruffs’ uninvited cousin. Nobody likes the little white flakes and itchy side effects of dry skin. Some grooming jobs require a more hands-on approach. If you’re looking into how to trim a beard like the pros, this is where a great pair of beard scissors comes in. Not only are they fast and efficient, but they can also get you out of a pinch when you just need to freshen up for a quick appeal. Make sure not to cheap out on them either. A great pair can cost a bit, but with care will last your whole life. Sanguine makes one of the best all around beard scissors in the world. The 5.5-inch professional barber shears are a fantastic addition to your grooming kit and can handle pretty much anything you’ll ever throw at them. If you want to know how to style a beard like the pros, a great pair of beard scissors is the secret. Wanna know how to fade a beard? For starters, get a great beard comb. Just like peanut butter and jelly, the beard and the beard comb go hand-in-hand. You can get a lot of great work done with just a good beard comb and a sharp pair of beard scissors. It’s how it was done for many years until the advent of trimmers. Not all combs are treated equally either. A beard comb is not the same as a hair comb. Beard combs have polished edges that make sure you don’t scratch the underlying skin. Sometimes they are anti-static as well. If you’re looking for a quality comb that can handle your unique tasks, this 3-comb set by Kent will surely serve your needs for years to come. If you love the feeling of a nice brush on your face and appreciate the fine job it does to get those whiskers looking great, then getting a high-quality boar’s hair beard brush is really going to make your day. The reason boars hair bristles are the best choice is that they are natural and help to spread your beards natural oils around. They also interact with the skin much more gently than their plastic or metal cousins. If you want the good stuff, this pure boar bristle beard brush by ZilberHaar is a bit pricey but comes with a lifetime guarantee and can handle all beard types. Beard balm is basically a leave-in conditioner for your beard. It helps to keep everything feeling and smelling great — kind of like beard oil does — while keeping the strays under control. Another great thing is that beard balm helps control the itch. If you suffer from a lot of beard itch, then this may be a great solution for you. When choosing a great beard balm, make sure it contains only natural ingredients. Strong perfumes, synthetic ingredients, and other harsh stabilizers can be off-putting for both you and the company you keep. This awesome beard balm by Rocky Mountain Barber is 100% natural, made with a premium wax blend mixed with cedarwood, jojoba, tea tree, coconut oil and more. If your beard or mustache style requires a bit of fine-tuning to keep the stray hairs in place (or mustache twisted), then you are most certainly in need of a high-quality natural beard wax. Typically speaking, if you’re using a beard wax, your primary concern is all about the hold. The Bearded Goon’s ridiculously strong beard and handlebar mustache wax does a phenomenal job of keeping everything in check, but it also smells divine. Some of you might think that a special shampoo just for the beard is more of a marketing scam than anything. After all, doesn’t normal shampoo do just fine in washing the beard? Some might say that they are somewhat the same, but if you’re into really into beard-care, then you know that there is a world of difference between a standard hair shampoo and one designed for the scruffy stuff. Often hair shampoo is packed full of chemicals and agents that do nothing but irritate the skin and hair. Why would anyone want to put this on their face as well, especially if you already have sensitive skin and a bit of beardruff? Our thoughts exactly. A good beard shampoo like Mr. Natty’s Face Forest Beard Shampoo is free of all the stuff that triggers dry face and beard itch, while still getting the job done… in style. Take it From The Pros; You’ve Got This. Like anything in life, you can do things well or not-so-well. Heck, sometimes things can be a total failure. In a recent article in Men’s Health, two professional barbers — Garrett Pike, founder, and head barber at No Club Barbershop. Robert McMillen, founder and head barber at Mildred Barbershop — were interviewed and asked what the best tips for growing a magnificent beard are. Men’s facial hair can be stubborn, as there are many types of facial hair, and any tips or tricks are welcomed. So, to avoid any undue embarrassment, mishaps, or mistakes in your beard growing and grooming world, here are a few tips the pros have to share with you. Often underserved, the mustache does deserve some good attention. Rather than taking the trimmers to it and just going to town hoping for the best, McMillen says to “maintain a normal ‘resting’ face when trimming, to assure your mustache is even with all expressions.” Use mustache scissors for this task as they have a more natural looking result than a trimmer. It takes a bit of practice to get this technique down, but with a bit of patience, you’ll have it mastered in no time. So make sure to take care of your skin. It can make or break a good experience when sporting an awesome beard. There is a lot of things that people do with their facial hair that often begs the question, ‘does this guy actually care for that muff of fuzz on his face?’ Most guys are not going for that reaction with their chosen beard style, and a bit of finesse can go a long way when growing and maintaining a beard. There is no limit to how long to grow a beard, or how short to keep it. If you’re looking into how to maintain a beard, the most important condition to keep in mind when growing or sporting a beard is how to keep it healthy. The first thing is getting all the right tools. Depending on the style you prefer to grow, there are plenty of tools for you to tap into as can be seen above in the section on Recommended Tools, Products, and Accessories. Make sure to stock up on things that can run out, keep blades sharp (or replaced), take care of your electric beard trimmer as per manufacturer’s instructions, and listen to your body for what it’s telling you about the condition of your facial hair and skin. This is not a section about how to groom a beard. Beard care is really about hygiene. The easy part is keeping your beard the shape you want it. The more challenging part is skin care. Skin care is a two-part process. First, all good skin starts inside your body. That’s right. Your skin health is directly connected to the health of your gut.1 When you take care of your health and nutrition, your skin will begin to feel better. The oils will balance, and any dryness, itchiness, or flakiness will clear up. Next, it’s about what you put on your face. If you are putting harsh industrial chemicals on your face all the time (this is true for you if you are wearing most cologne, aftershaves/lotions, shampoos, conditioners, etc.) because that’s what’s in the products you use, you’re setting yourself up for a skin condition. Avoid using harsh chemicals and opt instead for all natural organic products that are safe for use on your skin. If you wouldn’t put it on a baby, don’t put it on your face. That’s pretty much it. If you’re looking to sport one of the cool beard styles, you already know how to trim and maintain the hair on your face, but it’s altogether a different story to care for your beard. If you care for your gut, you’ll have great skin. If you care for your skin, you’ll have a stellar beard. Get at it! First of all, before going out and buying beard growth products or supplements of any kind, for any reason, make sure to consult your healthcare professional. If you have a naturopath to talk to, even better. If they give you the green light, then go ahead and make a move. Before looking into how to make your beard grow faster, you have to look after your health and wellness first. Your Lady Plans A New Haircut? Suggest one of our 42 short hairstyles to her! Now that the disclaimer is over let’s get to those follically challenged patchy spots in your beard. How long does it take to grow a beard you can be proud of? In short, everyone is different, but there are things you can do to beef up your beard a bit. If you’re looking to get a bit more fuzz on your face, there are a few beard growth products and supplements you can take to stimulate satisfying growth. Nothing is guaranteed though, and you have to be patient. If you’re wondering how to grow a thicker beard and looking for a more natural approach than resorting to ‘Rogaine beard’ (there’s nothing inherently wrong with this approach necessarily if that’s the only thing that works for you), then this is what you need to know. Before we launch in, you need to know a bit more about what actually contributes to beard hair growth, especially a thick beard. What helps beard growth anyway? Well, if you’re wondering how to grow a beard that is full and luscious, it’s not some run-of-the-mill beard growth cream or over-hyped and under-delivering multivitamin like Beardilizer or Vitabeard, that’s for sure. So, if you’re wondering how to grow a beard if you can’t, the two main things that make a man’s beard hair flourish are the hormones testosterone2 and DHT3 (Dihydrotestosterone) and a solid multivitamin. Without taking something that boosts one of these two primary beard growing male hormones, you’re just buying expensive pee as you flush your money down the toilet. This is the truth about how to make your beard grow. Never again will you tell yourself ‘I can’t grow a beard’ because you’ll now have the tools you need to get one of the best beards you’ve ever had. Another great way to boost your hormones is Ashwagandha, another Ayurvedic Indian herbal supplement. It was shown in a recent study to increase testosterone levels from 630 ng/dL to 726 ng/dL, not bad for a plant root. Also, keep in mind that a high-quality multivitamin is needed. This is to make sure that the hair can be built with the right ingredients. Picture testosterone as the builder and the multivitamins as the materials. Make sure to vet a good quality supplement like The Thorne Research multivitamin line. It’s Time to Grow The Most Awesome Beard Ever! This is the most comprehensive guide on how to grow a beard anywhere on the internet. If you’re one of those people typing ‘how to grow beard faster’ into a google search, then you’ve certainly come to the right guide. If you are really serious about giving yourself a head start to the best beard ever, with one of the best beard styles around, you’re now well on the way to achieving your goals. You’ll have plenty of beard ideas now. Remember, the best beards come with effort, persistence, and time. 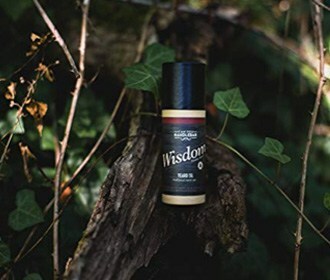 You may have to invest a few bucks to get some essential tools, accessories, and supplements, but in doing so, you will be all set up for a lifetime of bearded success. May the best beard in the world be with you! If your looking into how to grow a beard in one of the best beard styles around, you’ve hit the mark.